Pakistani police say gunmen riding on motorcycles have opened fire on a vehicle carrying paramilitary soldiers in the country's southwest, killing four troops before fleeing. 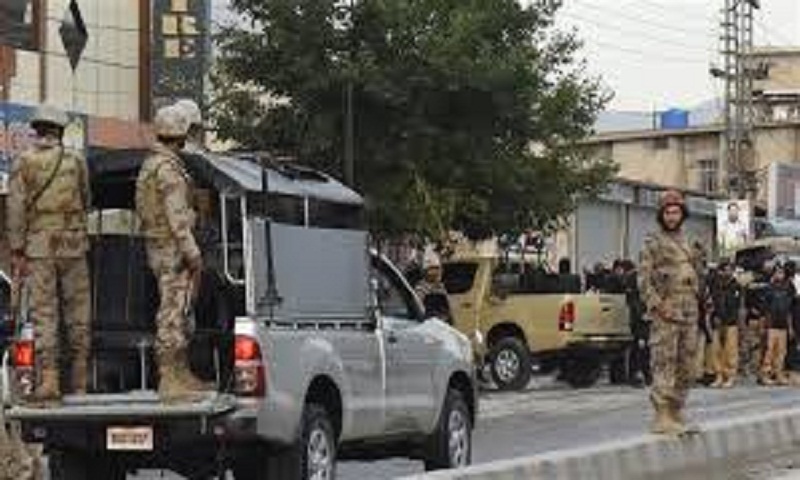 Abdur Razzaq Cheema, the police chief in Quetta, said Wednesday's attack took place in the city's Saryab neighborhood. No one has immediately claimed the attack and Cheema says police and troops have launched a hunt for the assailants. Quetta is the capital of Baluchistan and has been the scene of a low-level insurgency by Baluch separatist groups, who demand a greater share of the province's resources. Islamic militant groups also operate there and often target security forces. Pakistani authorities claim they have quelled the insurgency and broken the backbone of militants but violence has continued, reports AP.